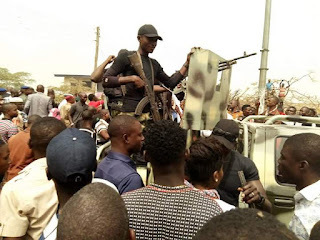 Benue State Governor, Samuel Ortom wants security agencies to carry out thorough investigation into the attack on protesting students which led to the loss of three lives yesterday in Makurdi. Governor Ortom commiserates with families of the victims, describing the attack on the young protesters as insensitive to the current mood of the people who are in grief over the killing of many innocent persons by armed herdsmen in Guma and Logo local government areas of the state. He condemns the attack on the protesters and gives assurance that the Benue State Government will ensure that those responsible for the death of the three youths are brought to justice. The Governor appeals to the people of the state to remain calm and resist the temptation to take the law into their hands as the State Government is exploring every lawful means to restore peace in the communities affected by renewed herdsmen attacks.